Located in the city’s Midtown district, just blocks away from the Medical Mile, 616 Lofts on Michigan is an entising location for restaurants and retailers. 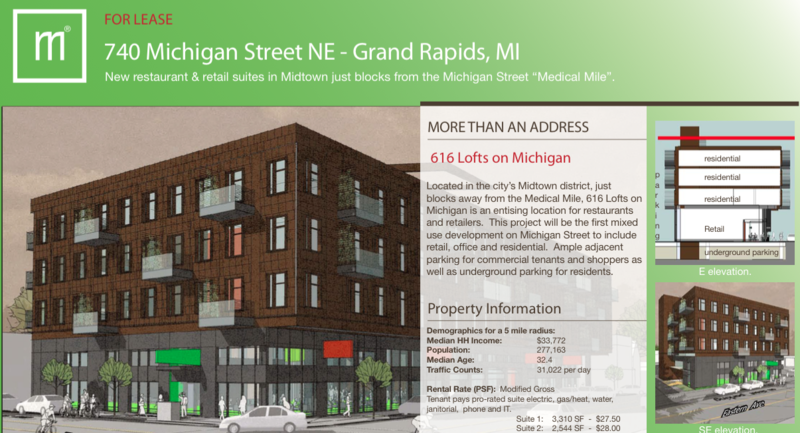 This project will be the first mixed use development on Michigan Street to include retail, office and residential. Ample adjacent parking for commercial tenants and shoppers as well as underground parking for residents.